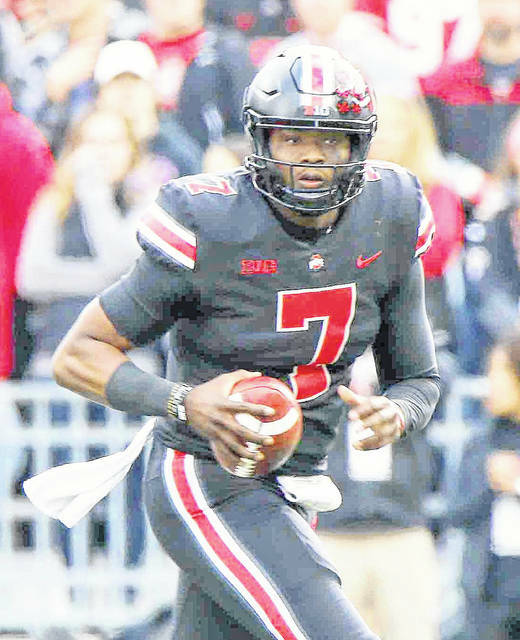 Ohio State’s Dwayne Haskins (7) has just 45 yards rushing this season but says he likes to run the football. Michigan State beat Ohio State en route to Big Ten titles in 2013 and 2015, but the Buckeyes breezed past the Spartans 48-3 last year. … Ohio State DT Dre’Mont Jones has at least one tackle for loss in seven straight games. … Ohio State has scored 20 or more points in 21 straight games. … The Buckeyes are 24-3 in conference road games under coach Urban Meyer. Michigan State has lost five straight home games in this series. … Michigan State is 10-6 in its last 16 games against teams in the AP top 10.